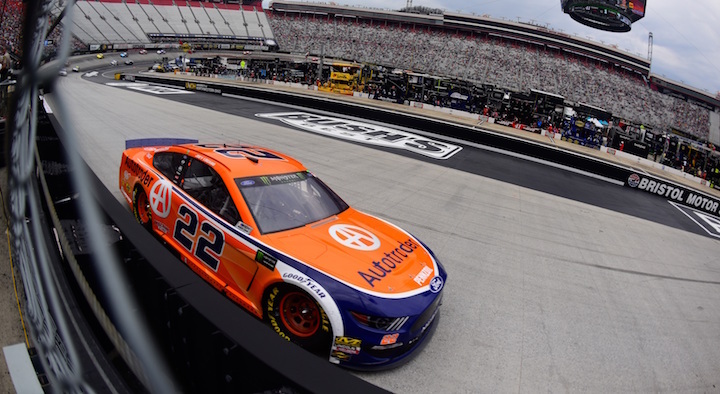 The three Team Penske entries of Brad Keselowski, Joey Logano and Ryan Blaney led a combined 344 of 500 laps in Sunday’s Food City 500 from Bristol, but a late-race caution thwarted the Ford team’s shot at victory at the World’s Fastest Half Mile. The No. 2 Ford Mustang of Keselowski and the No. 22 Mustang of Logano were running 1-2 when a late-race caution came out with less than 25 laps to go. Keselowski and Logano led a pack of cars to pit road for fresh tires while Joe Gibbs Racing’s Kyle Busch and Chip Ganassi Racing’s Kurt Busch elected to stay out on old rubber. Logano also acknowledged that he was put in a difficult decision when the late-race yellow came out. 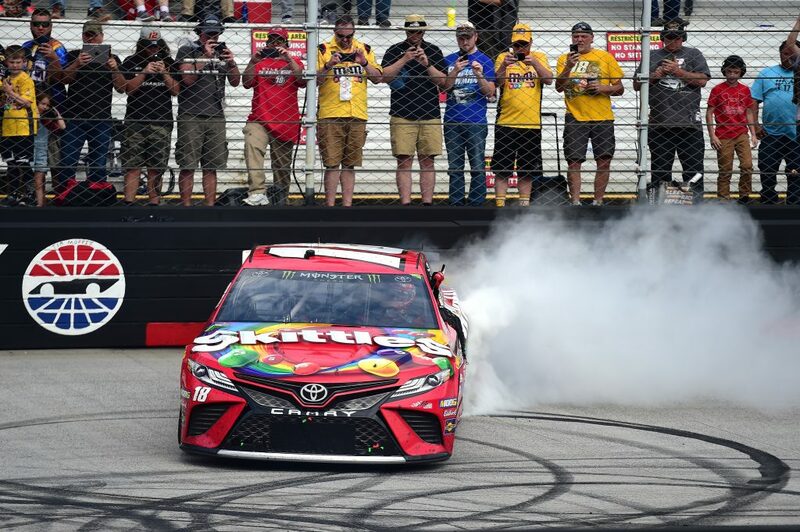 Click here for full results from the Food City 500 from Bristol.